I can't stop admiring this gorgeous space! 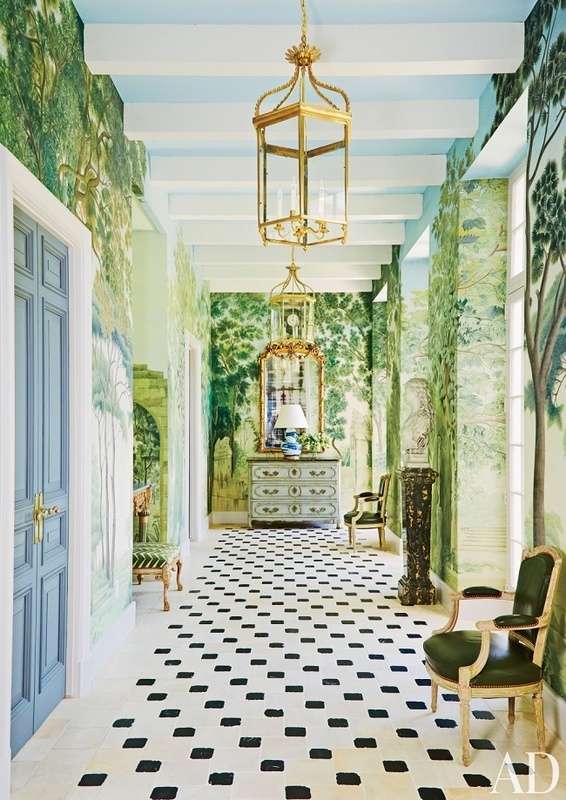 This delightful hall comes from a Houston mansion, designed by the talented Miles Redd. The stunning, show-stopping decorative arts wallpaper definitely makes the room! Although it's filled with traditional classic furnishings, this room feels bright, airy and fresh, don't you think? Elegant and timelessly beautiful, this well-designed room is one I will revisit again and again for inspiration! Your thoughts?